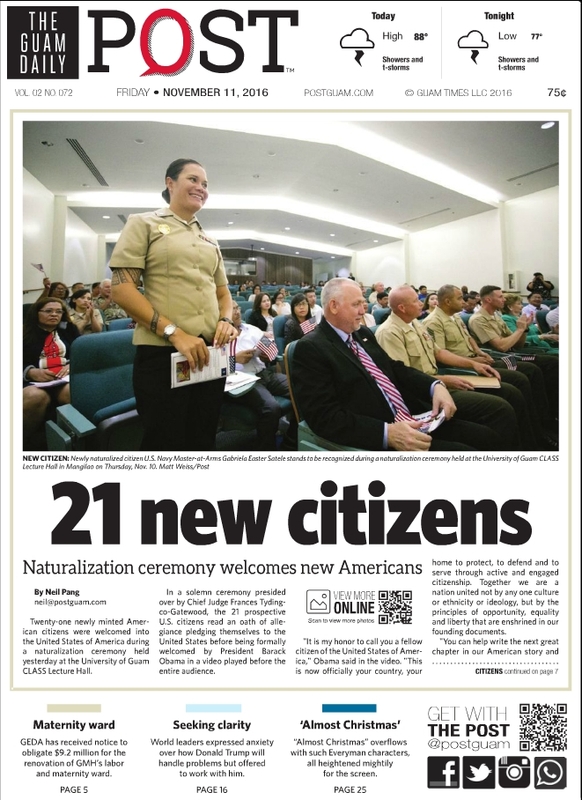 Twenty one new citizens were naturalized at a special ceremony held on the campus of the University of Guam on Thursday, November 10, 2016. One new citizen was from American Samoa, one was from South Korea and the rest were from the Repubilic of the Philippines. Read more in tthe Guam Daily Post.